I’ve always been fascinated by the concept of auras. So it’s not really surprising that they took a role in my books. Aside from the slightly crazed look in this guy’s eyes, this picture is a pretty good visual representation of the experience Amanae has with auras as described in Dreams of Beautiful Whisper. Did you know that there are people who claim that babies are capable of seeing auras naturally up until about 5 years old? It’s claimed to be the reason that babies are more drawn to some people than others. And why they often seem to be looking above your head instead of directly at you. I say “claim” because so far as I can find, as of the point of writing this article, there are no actual scientific studies to prove any of this. Now in my opinion, that point is irrelevant. But there may be some that disagree with me and that’s cool. Do you believe in auras and/or the ability to see them? 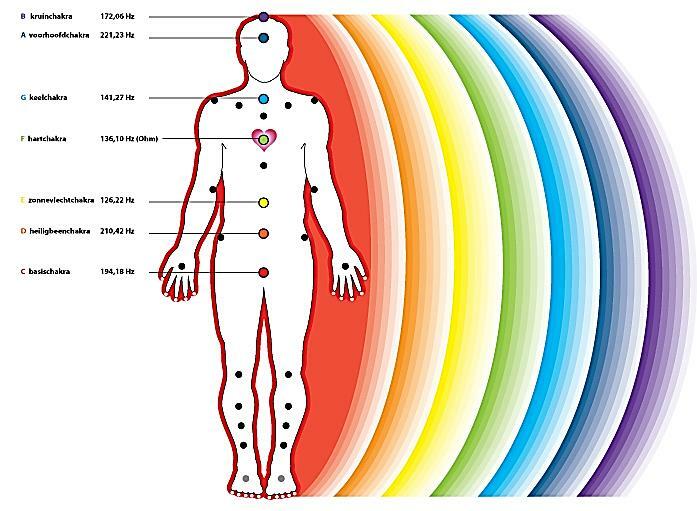 So basically, an aura is the electromagnetic energy field that surrounds people. Some research indicated that anything that requires oxygen will have an aura. 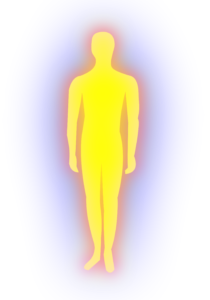 Multiple articles also support the theory that there are seven auric bodies (layers) consisting of physical, astral, lower, higher, spiritual, intuitional, and absolute planes. There is also a reported connection between the seven auric bodies and the seven Chakras. I personally find this topic very intriguing, though I am by no means well educated on it and most certainly not an authority on the topic. But it is one of the few “fantasy” concepts that seems to have a place in our real world. That in itself gives me hope that we’ll be communicating telepathically in no time! A world full of real magic? Yeah I’m ok with that, even with all the complications and risks it brings! Being the curious sort, I’ve read up on several articles that talk about how we can actually train (or retrain) ourselves to see auras. Now I have two confessions. I haven’t succeed in seeing my own aura yet. I haven’t really practiced it much because I’ve been too busy reading about it and writing! But I intend to keep trying! The most common approach to seeing an aura seems to be by standing in front of a plain white wall, in a dim, nearly dark room. Hold your arms out in front of you, with your index fingers touching. Then slowly separate your fingers just slightly and, with a soft gaze, focus on the wall beyond them. The theory is that you will see a sort of hazy, bluish colour surrounding your fingers. With practice you will see more and more colour and the colours will eventually become more vibrant. The exercise reminds me of when I once attempted to learn the art of Reiki. One of the beginner exercises has you hold the palms of your hands just above your thighs without actually touching until you feel a heat movement between your palms and your thighs. I was able to succeed with that exercise, so I’m hopeful on the exercise of seeing auras! I think part of my problem is that I need to meditate more to calm my mind. Stillness, of mind or body, is a rare thing for me, and something tells me that the ability to see auras does require a certain amount of stillness discipline. Sounds like it’s something I could benefit from on multiple levels! While I’ve read many articles in the research of auras for both my books in the past, and more recently again for this article, I honestly wouldn’t be able to cite them all, there were far too many. But one that was more recent that I found to be quite informative was found here: https://exemplore.com/auras/How_to_See_Auras – if you’re interested in reading more on this. What about you? Do you believe in auras and/or the ability to see them? Have you tried? Have you succeeded? Will you try now after reading this article? Let me know in the comments! I’d love to hear about it. ← What if your life wasn’t really what you think it is? I came to this site because this representation (that great rainbow-coloured image on top of this page!) is one of the closest to what I used to see from the age of about 4 until about the age of 6. I used to see them whenever I wondered what someone was like (if I’d never met them before) or if I wondered what someone I already knew was feeling. Strangely, I never saw them on my siblings or parents (nor my own aura!) … but I DID see them on OTHER relatives! Usually, they were rainbow coloured. Only twice were they ever monocoloured. So yeah, I absolutely believe in auras. I’m now nearly 65 and I’m STILL trying to work out how to reproduce DIGITALLY what I used to see. I have some great digital software programs (including two 3D programs), however, I’m still lacking the skills to be able to reproduce what I used to see in a heartbeat as a child. I applaud efforts to see auras, and I’m grateful that I can still remember vividly what I saw as a child! I grew up in the times when kids should be “seen but not heard” and so I thought that seeing auras was something that EVERYBODY saw, and that you just never TALKED about it, just like you never talked about what’s in your pants! Huh! But I can still SENSE auras, and I really enjoy it when young children look at me in that way that I’m sure that THEY can see my aura, and so I try to pump it up and flare it. Yep! Auras are NOT static, they change constantly and if you’re lucky enough to be able to see one (again, it was 60 years ago for me!) … but if you look at someone’s aura, the whole aura will change and react to YOU!